It’s true that companies around the world are very diverse, having various structures, different goals and policies, but there is one thing in common: any company has some business with its clients, one way or another – no matter whether your company works in B2B, or B2C system. Customer experience issues are one of the most important ones, especially for those engaged in certain industries such as, for example, tourism or banking, since they might communicate with clients even more than others. Any specialist in client service office should clearly understand that his/her role in overall company success is the central one. That is why customer experience certification courses have been so popular recently, providing professional education for specialists in this field. The first thing, that should be considered when you plan your customer experience development is to set the right goals for your employees, i.e., they should understand their role in achieving the desired result and how the enhancements in customer experience will help with that. What are the priority tasks of the company? Is the customer experience improvement one of them? Is there currently a gap between the client needs and wants? And what is their interaction experience like? Will a company get an advantage against its competitors by improving customer experience? What are the exact aspects of customer experience a company should pay attention to in order to get the desired result? When choosing courses with customer experience management certification, it is important to remember that in order to solve bigger problems, it is necessary to solve a number of smaller and intermediate ones. They should be paid attention first, but at the same time, it is important not to lose sight of the global goals. 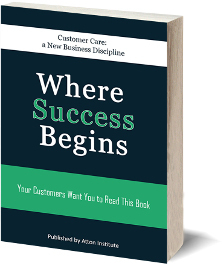 By improving customer experience, you will come to success step by step.